Soundation has launched a new browser-based studio and visual identity across all channels in cooperation with the design agency Kurppa Hosk. Apart from the studio's new UI, the studio engine also gains a +300% performance improvement as a result from a collaboration with Google. 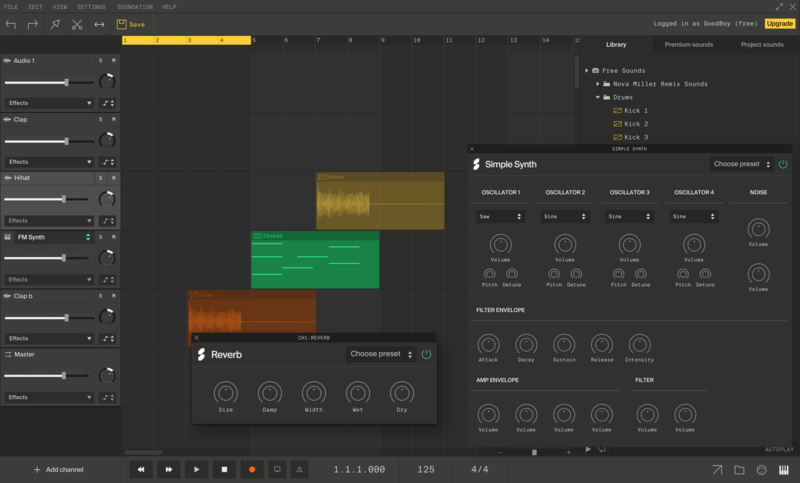 In April 2018, the online music studio Soundation announced its rebirth. During 2018 the average time spent by users in the studio has doubled and the number of unique monthly users increased from 60,000 to 110,000. Now the company is taking the next big step with a new studio and brand identity. "After a thorough user analysis we've worked closely with Kurppa Hosk to create an identity that really motivates our young and creative users to follow through with their passion of producing music. 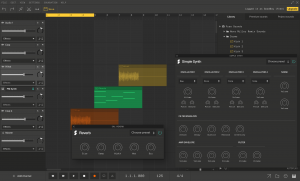 In combination with the terrific support from Google on the studio engine, we're very excited to set this live for our users and place ourselves at the forefront of music production services online", says Adam Hasslert, CEO of Soundation. The new visual language served as a framework for a total redesign of the studio. The strict geometry and typography became a good fit for an app that demands precision and clarity. With profound input from users, the design went through a large amount of iterations in terms of color scheme and iconography in order to reach a UI suitable for all user segments. The new studio engine is built in collaboration with Google on WebAssembly Threads, which improves the studio's web performance with +300%. Soundation is one of the world's first adopters of this new web technology. Visit soundation.com to view the new studio and visual identity.